Accurate (< 1%) direct measurement of high voltage pulse amplitudes above 10 kilovolts becomes challenging due to voltage breakdown limitations in materials, parasitic impedance effects that can distort the pulse shape, and pickup of extraneous signals resulting from electromagnetic interference effects. A piezoelectric crystal-based bulk acoustic wave sensor using lithium niobate (LiNbO3) that has applications to metrology, research, and power metering was developed to overcome these measurement issues with the factors of scalability, ease of use, and compactness in mind. A Y+36° cut LiNbO3crystal was coupled to two acoustic transducers, where direct current (DC) voltages ranging from 128—1100\u2009V were applied transversely to the crystal. An acoustic wave was used to interrogate the crystal before, during, and after voltage application. Both single and multiple pass measurements were performed and compared to linear piezoelectric theory. A comparison study between Y+36° and 0° X-cut LiNbO3 was performed to evaluate the influence of crystal cut on acoustic propagation. The study was extended to applying alternating current (AC), and pulsed voltages. The measured DC data was compared to a 1-D impedance matrix model that was based on a three port circuit with voltage-induced strain effects inputted as a model parameter. An uncertainty budget was carried out for both crystal cuts and compared. Environmental effects such as pressure and temperature were also measured to determine their influence on the sensor under ambient conditions. Published literature regarding material constants, such as elastic constants and piezoelectric constants, for LiNbO3 do not account for the influence of an electric field. In light of this, measurements of the acoustic velocities and material constants under the presence of a DC electric field were performed up to 896 V. This information was used to develop an uncertainty analysis for the determination of stress-charge form piezoelectric constants e15 and e22. All measured and calculated values were input into a Monte Carlo simulation to determine the error of the strain-charge form piezoelectric constants, dij, and how these new values can be used to predict the voltage sensor response. 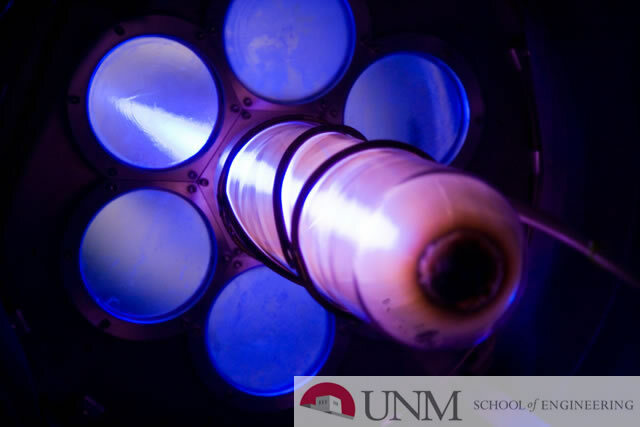 Sandia National Laboratories is a multi-program laboratory managed and operated by Sandia Corporation, a wholly owned subsidiary of Lockheed Martin Corporation, for the U.S. Department of Energy's National Nuclear Security Administration under contract DE-AC04-94AL85000. The SAND number given to this document is SAND2015-7844 T.